This is the KFNQ and KTTH transmitter site. Three towers make up the antenna array. 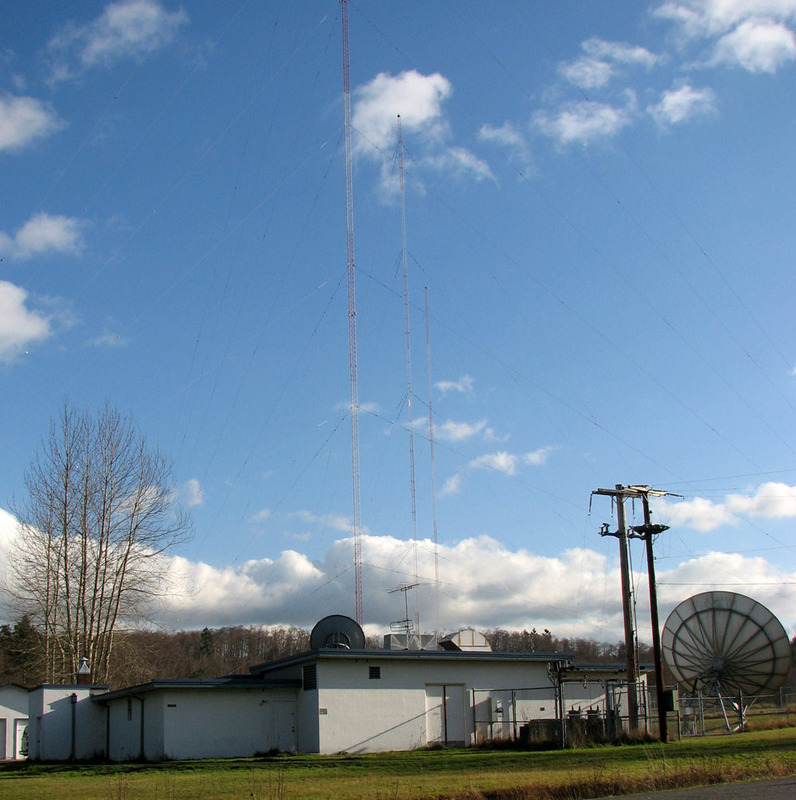 The Building was originally built in 1946 for then KEVR on 1090Khz.